There are a number of hypotheses which attempt to explain where the phrase “the whole nine yards” came from. Unfortunately, none of them can be proven to be correct, and most of them don’t pan out when subjected to scrutiny. The only facts known are that the phrase means “everything, the whole of something, the works” and it appears to have originated in the United States in the 1960s. Many people assume it has something to do with the game of American football. 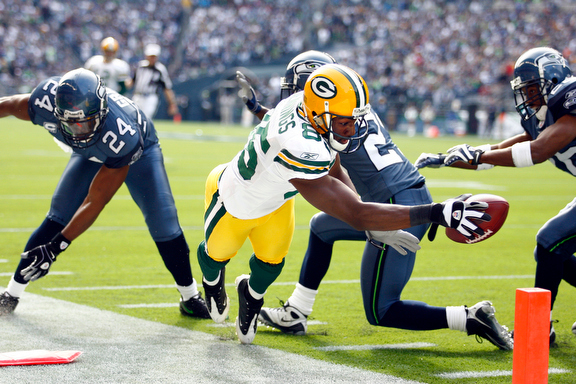 The problem is, the length between the yard lines in football is ten yards, not nine. Of course, it’s possible that the original meaning of the phrase was intended to be ironic (as in, falling just short of the goal), but there’s no evidence of this. Other real-estate related ideas: it refers to the amount of dirt in a large burial plot (a “rich man’s grave”) or the number of properties — i.e. “yards” — in a “standard city block” in various cities around the U.S.A. (which city depends on who’s telling the story). The problems: the number of properties in a city block varies from one place to the next. And while burial plots are commonly referred to as being “six feet deep,” people seldom, if ever, refer to the volume of a plot, which makes that proposed origin seem unlikely. Many others attribute it to the length of cloth required to make a garment. Garments suggested include: a man’s three-piece suit, a sarong, a sari, a kilt, a kimono, a bridal veil, a nun’s habit, a maharajah’s ceremonial sash, even a burial shroud. The problem is, none of the garments suggested actually require nine yards of fabric to make. And nine yards is not the length of a standard bolt of cloth, either. Perhaps the most popular explanation of the moment is that nine yards equated to the length of a belt of ammo for a machine gun on a WWII fighter plane. So, giving somebody the “whole nine yards” would mean you’d fired all your ammunition at them. One problem: ammunition is counted in rounds or by weight, not by the length of the belt, so it would have been unlikely for anyone to refer to the it by length. Another problem is that the people telling the story can’t seem to agree on exactly which WWII fighter it was we’re talking about — sometimes it’s RAF Spitfires in the Battle of Britian, sometimes it’s US pilots in the South Pacific. And the third problem is that the phrase itself seems to have originated sometime in the 1960s, well after the end of WWII. Shifting from the air to the sea, some say that the phrase refers to the long spars (or “yardarms”, the crosspieces on the masts, from which the sails were hung) on a square-rigged sailing ship. The problems with this are that square-rigged sailing ships were not in common use in the 1960s when the phrase originated, and that big square-rigged ships commonly had more than nine yards. An alternate explanation is that it refers to the surface area of the canvas sails, but the sails for even a small ship would be much larger than nine square yards. Back on dry land again, another military-related explanation is that it refers to the size of a soldier’s pack. Some quick measurements with a yardstick should be sufficient to convince all but the most obstinate that this idea is untenable. Soldiers carrying packs that large would be hard-pressed to move at all, much less march or fight the enemy. Moving from the military to law enforcement, it has been postulated that the phrase refers to either the length of a hangman’s noose or the distance one would have to run to get from a cell block to the outer wall of a prison. As it turns out, there is no standard length for either of these things. Another possible explanation is that nine yards is the average capacity of a ready-mix concrete truck. While it is true that the average such truck in the late 1980s might have been about nine cubic yards, in the early 1960s when the phrase first appeared the average truck had a capacity of six and a half cubic yards or slightly less, according to a widely-quoted article in Ready Mixed Concrete Magazine (August 1964 issue). Alternative explanations suggest it might actually be the capacity of a coal truck, the volume of trash in a “standard” garbage truck, or the capacity of a West Virginia ore wagon instead — but there’s no more evidence to support this idea than of the concrete truck hypothesis. 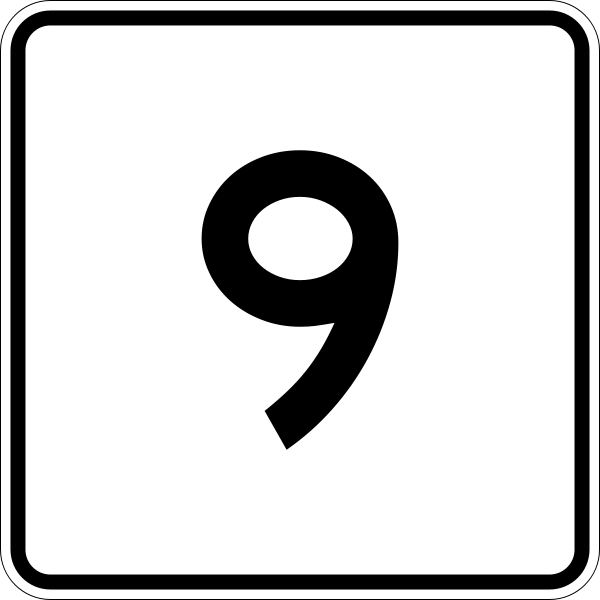 Some have suggested that the phrase might be related to some mystical significance of the number nine, and is related to the British phrase dressed to the nines, as well as other uses of the word nine such as the nine tailors and the nine muses. While this is a possible explanation, there’s no evidence to either support or disprove it. So, for the moment at least, it appears that the true origins of the whole nine yards will remain shrouded in mystery.